There probably used to be a time when you only had one cable provider in your area and that’s who you signed up with, no questions asked. Now, there are many different choices on the market that offer your favorite TV programming, and it’s important to note that they are not all created equally before you commit to one. 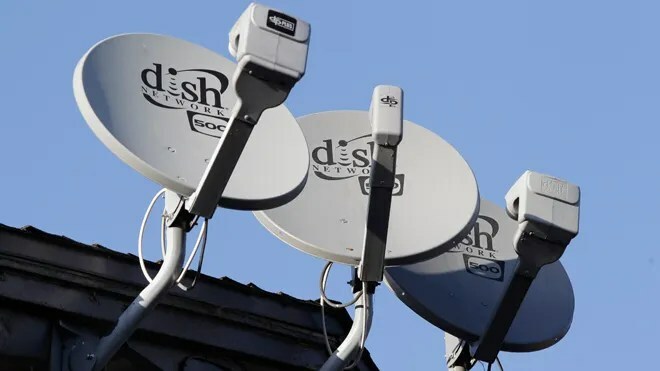 Whether it’s digital, FiOS or satellite, each company strives to stand out with its own innovative technology, but below are some of the top features that cable subscribers will find with DISH Network in particular. Have you ever tuned in in the middle of a show or movie and been really disappointed that you missed the beginning? Well, that’s no longer a problem now that DISH has the option to restart a program from its beginning as long as it’s recognized in the On Demand catalog. One of the newer features made available on DISH Network is the closed captioning button. For those who are a little hard of hearing or when company is over and things get a little too loud to hear the TV, this is a very convenient way to make sure you don’t miss any part of what you’re watching. Even if it’s just one line that you can’t seem to understand no matter what, the simple push of a button on your remote turns the closed captioning on and off instantly without ever having to go in and change your settings. One of the biggest benefits of having DISH as your cable provider is having the opportunity to view your recordings and live TV programs anywhere you happen to be through a mobile device. So, whether you’re traveling for business or taking a family vacation, you can still stay up-to-date on the big game, catch your shows’ season finales and keep the kids occupied with movies right from your laptop, smartphone, tablet, etc. DISH’s AutoHop feature is a big hit with television aficionados. Commercials are more of a nuisance than anything else these days, and while it’s nice to have the ability to fast forward through them on a recording, DISH has taken it one step further by allowing customers to completely skip over ads altogether with AutoHop and get right back into whatever they were watching without the exasperation of fast forwarding too much or not enough. Should you clean the house and start the piles of laundry you have waiting for you, or should you sit down and watch your favorite show that was recorded last night? This, and any other questions like this that may come up, is something you no longer have to debate in your head. With DISH’s Bluetooth audio streaming, which allows you to continue listening to the TV with paired Bluetooth headphones, you always have the ability to multitask and pay close enough attention to the dialogue on your program that you don’t miss what’s going on from not being able to hear properly over the treadmill, vacuum, etc. These, along with various other software and technology features, helps DISH network stand out as one of the most preferred cable providers in the industry. Author Bio: Gina Ponce is an avid writer and sports fan. With the help of these DISH features, she’s able to keep up on all her favorite teams no matter where she might be during the games. When she isn’t cheering on her players, you can find her reading or enjoying time in the great outdoors.